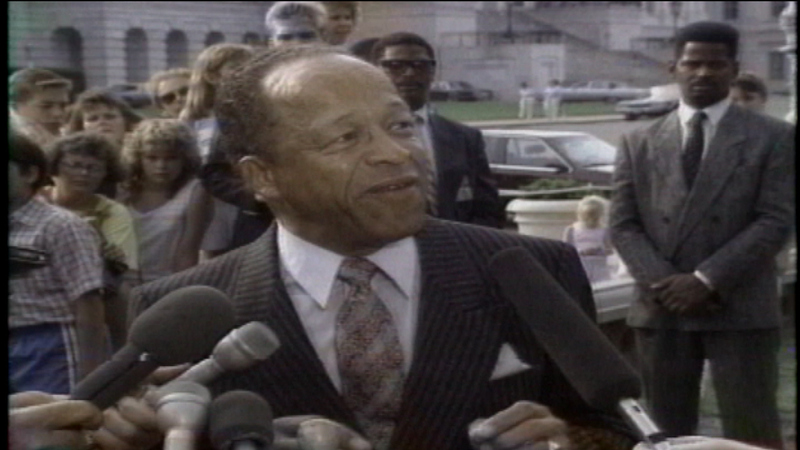 CHICAGO (WLS) -- Former Illinois Congressman Gus Savage has died after a long illness. County Commissioner Robert Shaw confirmed the death of his friend and colleague Friday night. "Gus will be sorely missed as a person that was about the community and about the upward mobility of African Americans and all minorities for that matter," said Shaw. Shaw said Savage had just celebrated his 90th birthday with a party Saturday night.